Buy Vegenaise ® - Organic and unflavoured in the UK from our online shop or directly from our independent Scottish store. Organic Vegenaise® is an egg-free mayonnaise alternative made with organic soya oil. Egg free mayonaise, so suitable for vegans. New in our fridge is the Vegenaise, egg free mayonaise. No milk, dairy, lactose, egg, so suitable for vegan diets. We sell real Vegenaise and other Spreads, Sauerkraut & Yogurt directly from our shop in Scotland and online throughout the UK. View more products from Vegenaise. Where can you buy real Vegenaise ® Organic safely online? If you are wondering where you can buy Vegenaise ® - Organic and unflavoured safely online in the UK, then shop with us. 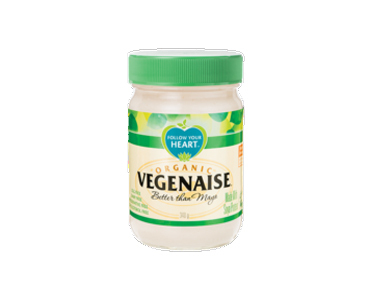 Vegenaise ® Organic - Vegenaise ® - Organic and unflavoured in Spreads, Sauerkraut & Yogurt and Chilled Foods.